React Datepicker Tutorial Example From Scratch is today’s leading topic. We use the package called react-datepicker for this demo. React Date Picker is a simple and reusable Datepicker component. There are many other packages available, but for this demo, we are using React Date Picker package for this example. 6 #5: Create a model and Express routes. 7 #6: Install Axios and send POST request. 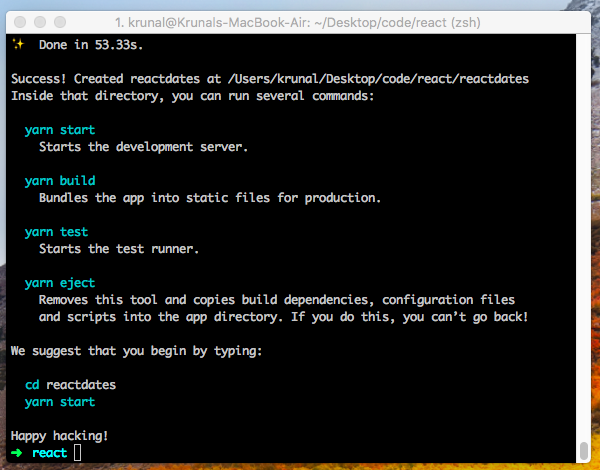 Install React.js using the following command. Install react-datepicker using the following command. We also need to install Moment.js separately since the dependency isn’t included in the package. Below is a simple example of how to use the Datepicker in a React view. You will also need to require the CSS file from this package. Also, install the bootstrap using the following command. Okay, now we have installed all the frontend libraries. Next step is to set up the frontend. Inside src >> App.js file, replace the following code inside the App.js file. Here, we have imported datpicker, moment, bootstrap libraries. We have set the initial date to today’s date. When the user changes the date, it will set the new state with its new values. When the user submits the date, we get the value of the textbox, which is the object of Moment so that we can call the moment function like formate on the value of the textbox. We can format the date in whatever way we want. Now, <Datepicker /> component has many options that we can configure it. You can use onSelect event handler which fires each time some calendar date has been selected. onClickOutside Handler may be useful to close datepicker in inline mode. You can also include a time picker by adding the showTimeSelect prop. 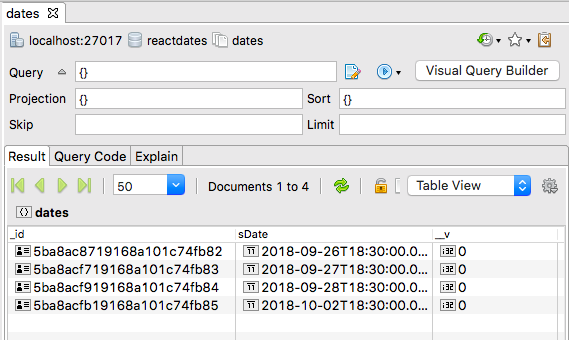 Inside the root folder of reactdates, create one more folder called backend. Go inside the folder and open the terminal and initialize the package.json file using the following command. Now, install the following dependencies. Also, install the nodemon as a development dependency. Now, create one file called the server.js and add the following code. 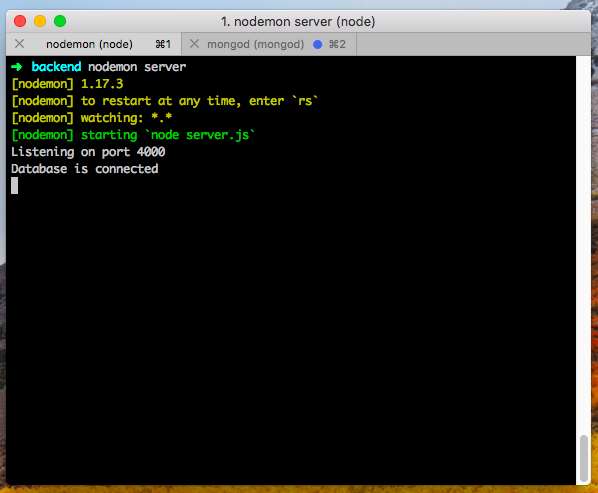 The next thing is to connect MongoDB database with our node.js application. If you have not installed the MongoDB database then install it and then start the mongodb server. Type the following command to start the MongoDB server. So, Now, we need to connect our node.js application to the mongodb database. Create one file called DB.js inside backend folder. Import this DB.js file inside our server.js file and use mongoose library to set up the database connection with MongoDB. We can also use Mongoose to save the data in the database using Mongoose ORM. Write the following code inside the server.js file to connect our MongoDB application to the Node.js server. Save a file and go to a terminal and start the node.js server using the following command. Make sure you are inside backend folder root and not in reactdates folder root. Now, We have the total of three servers are running. #5: Create a model and Express routes. Now, we need to create two folders inside the backend folder called routes and models. In the models’ folder, create one model called DateModel.js. Here, we will store only one field called sDate, and its datatype is Date. In the routes folder, create one file called date.route.js. Add the following code inside the date.route.js file. Now, our backend work is done. When the POST request hits the route: /dates/add, it will save the values inside the mongodb database. Our final server.js file looks like this. #6: Install Axios and send POST request. Type the following command to install Axios library using the following command, and We need to install it on the frontend, so please open the terminal inside reactdates project root. Okay, now import the axios inside App.js file and send the data to the Node.js server. Write the final code inside the App.js file. Save the file and go to the browser, select the data and submit the form and you can see in the console that, our date is successfully saved inside MongoDB database. I have submitted four dates. So in the MongoDB database, there are four entries. Finally, React Datepicker Tutorial Example From Scratch is over. I have put the code on Github. Please check it out as well.